It has been a tempestuous week to say the least in Laziolandia. Beaten by Napoli in their own backyard on opening night, the team’s top six hoodoo continues. Lazio won only two of 10 against the competition for a Champions League spot last year and infamously missed out on qualification on head to head after losing to Inter at the Olimpico on the final day of the season. The flyers handed out by the Diabolik fringe of the Irriducibili before last weekend’s curtain raiser also caused a scandal and made the news all over the world. The decision to ban women from the front 10 rows of the Curva Nord in defence of their “sacred space” did nothing for the ultra’s image or that of the club for that matter. The latest entry in an ever-expanding hall of shame, the small print and nuance was, in their opinion, lost and the story blown out of all proportion. The FIGC had a different take and an investigation has been opened with a view to taking action against discrimination. Sister Paola, the Lazio supporting nun, who for many years appeared on TV show Quelli che il calcio, has promised to confront the ultras and stand with them at the team’s next home game, presumably after recommending they go to confession and ask for forgiveness. While the prospect of a new twist on the Sister Act franchise certainly piqued curiosity, a Lazio-connected video also went viral on social media. It showed owner Claudio Lotito on the phone to manager Simone Inzaghi in the midst of quite the bust up. Gazzetta called it “the hot-line” because things got so heated. “You’re always complaining, [you complain] about everything,” Lotito is overheard, ironically enough, complaining. The video apparently dates from earlier this month when Inzaghi became upset by the resignations of Lazio’s osteopath and one of their physios. A breakdown in trust seems to be to blame. 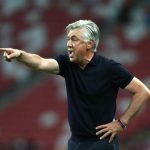 One of things Lotito says to Inzaghi, along with reminding him where he stands in the hierarchy, is “I need to be sure who is injured is injured and who is not, is not.” For instance, new signing Valon Berisha was rushed back from a hip and groin issues earlier this month and promptly relapsed. He now won’t be back until after the international break. Adam Marusic had a back problem on the eve of the Napoli match and now has an ankle complaint. Jordan Lukaku has barely been able to get out of the treatment room. You can understand Inzaghi’s frustration, particularly now the medical department is temporarily shorthanded. Lotito’s response, at least at the time, was to remind him of the business done in the summer. True, Lazio lost Stefan de Vrij for nothing and sold Felipe Anderson, the best game-changing sub in the league not to play for Juventus. But the squad is deeper. Maybe not “10 times better” than last year as Lotito suggested. But there’s more cover, more variety. Lazio spokesman Arturo Dioconale has downplayed the contretemps, comparing it to heat of the moment arguments between father and son. Lotito and Inzaghi have worked together for 14 years and the dialogue between them is a lot more frequent than in other owner-coach relationships. In some respects playing Juventus on Saturday is the kind of distraction that eclipses all other distractions. It demands total focus and, for all the negativity in the atmosphere this week, memories of their encounters with the Old Lady last season should induce one or two smiles. Lazio upset Juventus in the Super Cup and then beat them in Turin for the first time in almost 15 years last October. 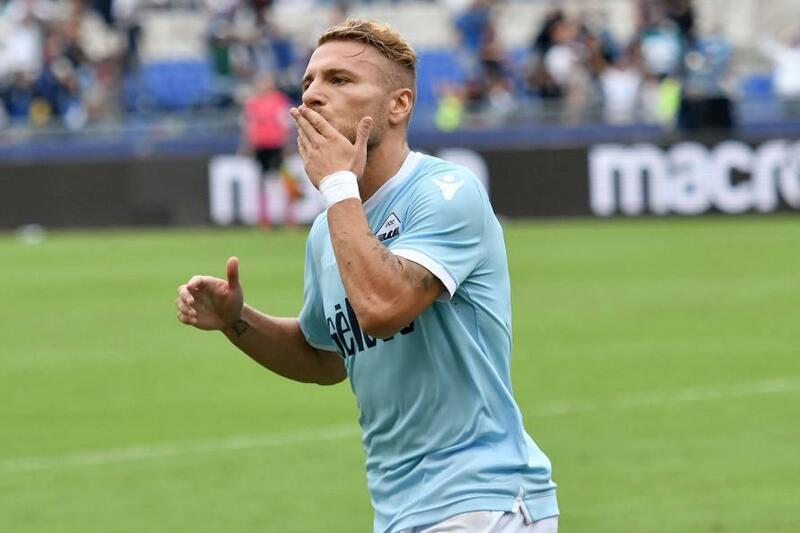 Ciro Immobile scored a brace in each of those games and Serie A’s reigning Capocannoniere picked up where he left off with a great goal to open the scoring against Napoli last weekend. Whether CI 17 can upstage CR 7 on his home debut at the Allianz Stadium remains to be seen. The returns of captain Senad Lulic and Lucas Leiva will help, and a lot is expected of Sergej Milinkovic-Savic, who few people expected to still be at Lazio this season. Win in Turin and sunshine will start to break through the clouds over Lazio. Lose and the storm threatens to become heavier.